Apple Muffins | How to make Apple Muffins step by step picture. So here comes the favorite time of the year where baking is in full swing and a season filled with cakes and bakes. Yes its December finally and Christmas season. Time to bid farewell to 2018 and Welcome 2019 and when it comes to baking muffins I wish to add to fresh fruits to make it a bit healthy. I have already tried Banana Muffins, Milk Muffins and Bread Muffins too. 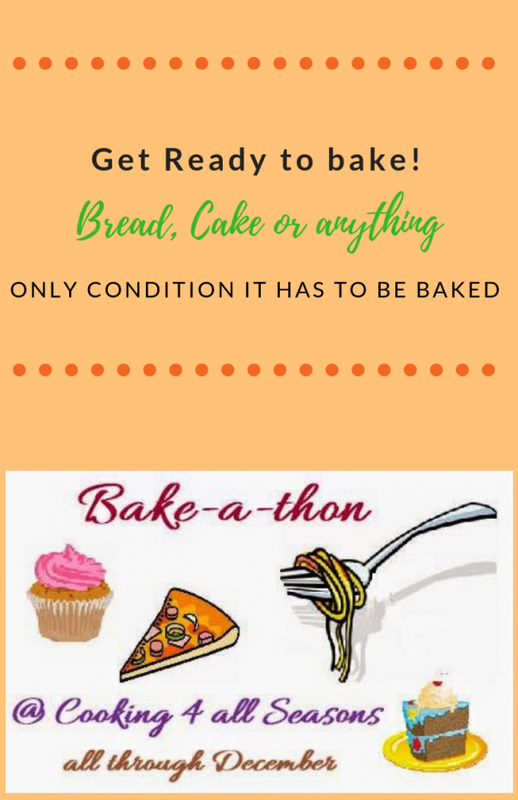 This year I have signed up for Bake a thon event too. For this month fully, you can expect some lovely bakes from me. Last year I couldn’t do bake a thon due to some personal commitments.so now lets see how to make Apple Muffins. 1. In a mixing bowl add in the whole wheat flour and all-purpose flour along with salt. Sieve it twice. 2. To this add in the Oil, Curd and Brown Sugar. Next break open an egg. 3. Then add in the Baking soda and then add in the Vanilla essence. Whisk everything together such that it forms an even batter without any lumps. Chop the apple and add it to a grater and grate ,or you can also grate it with an grater. 5. Scoop and add the prepared batter to the muffin liners let it be to the ¾ th level of the muffin liners. 6. Preheat the oven at 180 Deg C for about 10 mins and the bake at 18 Deg for about 20- 22 mins or until a tooth pick when inserted comes out clean. · Makes a lovely breakfast and evening snack. · You can use 1 tsp of cinnamon powder for a nice flavour. · Instead of all-purpose flour, you can substitute with whole wheat flour fully. · Keep good for 3-4 days. But refrigerate after 2 days. 5. Scoop and add the prepared batter to the muffin liners let it be to the ¾ th level of the muffin liners.Preheat the oven at 180 Deg C for about 10 mins and the bake at 18 Deg for about 20- 22 mins or until a tooth pick when inserted comes out clean. Such a treat it is. Enjoy with some warm Milk. The muffins look awesome Sharmila. Adding fresh fruits in bakes is one of the easiest ways of including them in our diet. With apples these are so inviting. Apple and cinnamon are such classic fall flavors. Taste great and make the kitchen smells great too. Lovely muffins ! The apples taste fantastic in bakes , It is only the hidden apples that I like :)) , super healthy and delicious bake . Sharmila, I will always remember that you joined our group first through bakeathon..:)..these muffins look great! Looks absolutely fabulous sis.. And look at those muffins, who can resist to them. I just love to munch few rite now.. Wonderful bake,looks so good and delicious. I rarely bake with apples and this sounds like the perfect recipe to try. Muffins look very moist and delicious. Wow Apple muffins looks absolutely moist and delicious. Like the idea of adding grated apple. Perfect for kids lunch box. Those step by step pictures explains it all. Thank you for this wonderful recipe. Healthy and yummy whole Wheat apple cake.. baked to perfection!! Apples and bananas are my favorites in bakes! these muffins look perfectly done! would love to have them for breakfast! I love to sneak in veggies and fruits in bakes so that my lil one will eat them without a fuss. I failed miserably in making him eat bananas in bread,maybe apples in this form will be acceptable! Beautiful cupcakes Sharmila. Sneaking in veggies and fruits make the bakes nutritious and these apple muffins fit the season we have right now.